Watch Songs I Like A Lot streamed live from Germany! 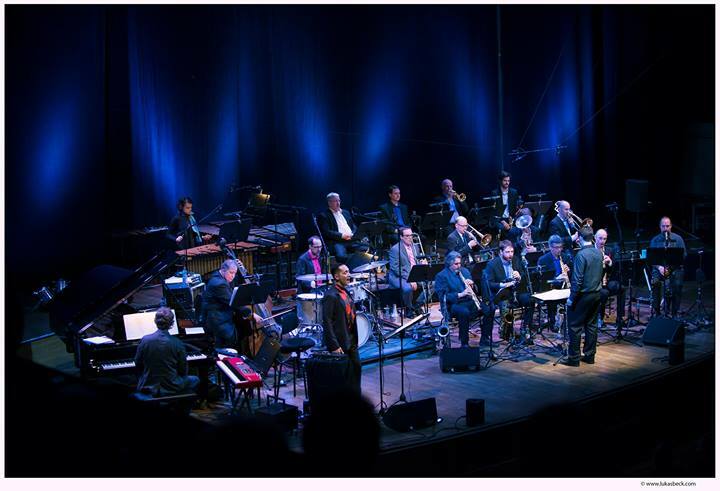 LIVE STREAM of the Frankfurt Radio Bigband concert featuring Kate McGarry, Theo Bleckmann (vocals) & Matt Mitchell (piano) performing a few originals, plus NEW and old! arrangements from the Songs I Like a Lot project goes off at 2pm Eastern Standard Time (8pm Central European Time, .375 beats Internet Time). They will premiere John’s new arrangements of True Colors (by Billy Steinberg and Tom Kelly, made famous by Cyndi Lauper/Phil Collins); Close to You (by Burt Bacharach and Hal David, made famous by the Carpenters); and Up, Up & Away (by Jimmy Webb, made famous by The 5th Dimension). You can TUNE IN and see them light fires Live on the Internet right HERE! Beautiful indeed! The only thing you can’t see in these lovely photo is the audience, enrapt and in multitudes—1400 strong! Such multitudes! Minimal Music meets Persian mysticism meets big band sound in contemporary garb: John Hollenbeck leads his large ensemble, composed of mostly jazz instrumentation, with ease…Delicately designed musical structures and magnificent patterns give in to meditative repetition and deepen in richness and intensity, offering a color-saturated backdrop…Fragile passages with clashing piano tunes and picturesque saxophone dashes erupt in full volume…A delightful stimulant for the spirit! A delightful spirit stimulant! Don’t mind if we do, Herr Hollenbeck! 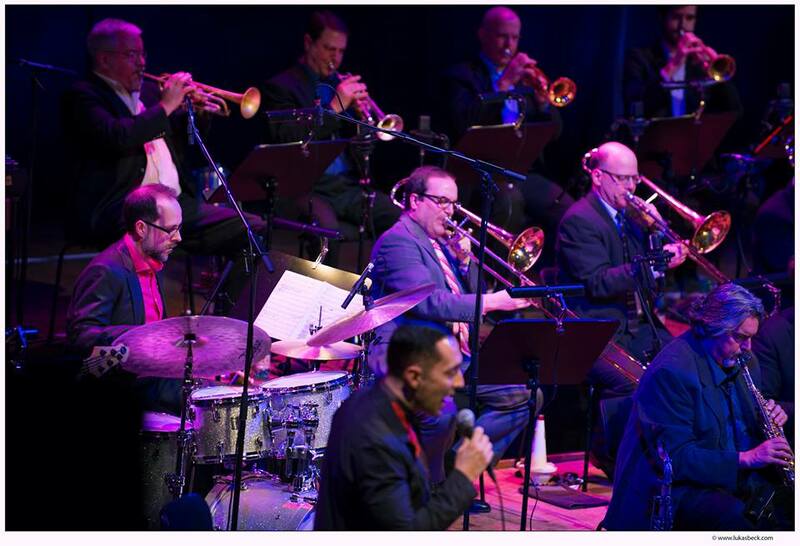 Last night’s performance at Lisinski Hall by the John Hollenbeck Large Ensemble was the best way to mark another concert in the “Jazz Hour” cycle. 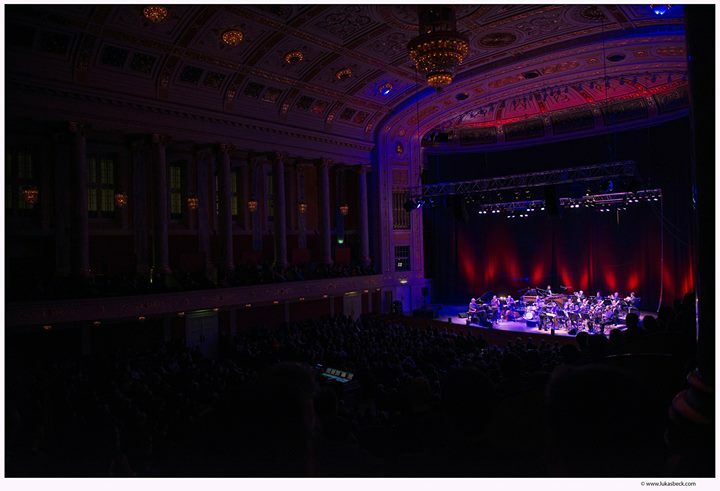 The series, already in its fourteenth consecutive year, is organized by Croatian Composers’ Society. 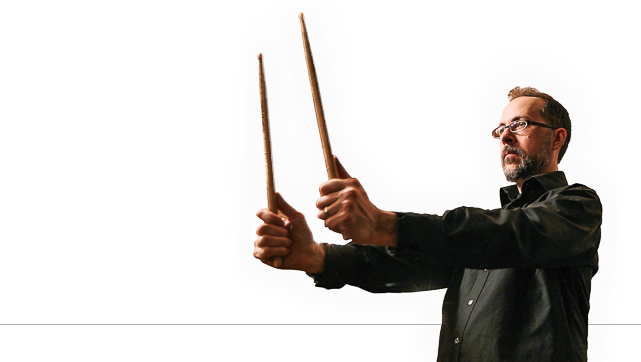 John Hollenbeck is an accomplished drummer with enviable experience, a composer, and leader of an unconventional big band that breaks genre boundaries and defies musical categorization. The performances are dominated by contemporary arrangements in which the main theme is often just a starting point, the home port from which to sail uncharted waters of jazz improvisation and experience musical dialogue between instruments and instrumentalists. 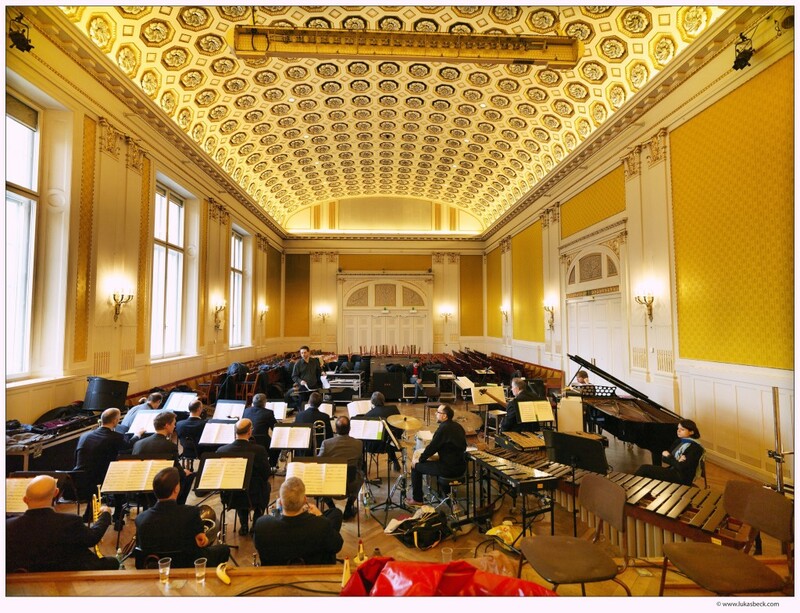 The emphasis of the concert was the creation of sounds and colors which utilized rarely used instruments in big band music such as flute, bass clarinet, and marimba, but also – smart phones ! In fact, at the end of “Eternal Interlude” the ensemble members used their phones as part of the performance and thus created the basis for a live digital interplay between music and improvisation to the surprise and delight of those gathered. There were many noteworthy and inspired individuals in the ensemble, especially singer Theo Bleckmann whose vocalisms and unobtrusive musical ornaments served as a very special “instrument” during the evening. Hollenbeck impressed as being more than just a pleasant figure, with witty announcements throughout the show and benign remarks addressed to the members of the gang. The audience learned that what inspires the compositions such as the memories of family members’ reaction to guarana, a Brazilian plant that helps with impotence. For more tour photos, check out this comprehensive snapshot album HERE, plus this outstanding DVD-bonus album of pictures taken by the band (quite expertly) HERE.